Sino-Soviet conflict Increased Dramatically after 1964. 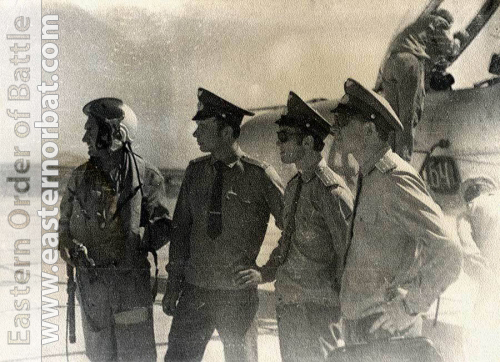 In the sixties, there were no Soviet tactical air units at the Sino-Soviet border. 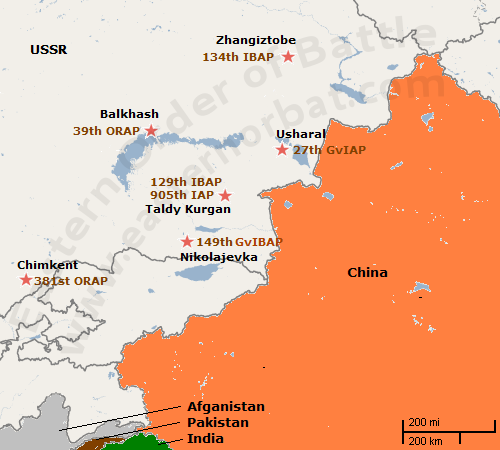 A new air force needed to be set up to defend the Sino-Soviet border. The civil and military administration was the first to be reorganized in 1967. They started the renovation of the local airports. First, they developed the reconnaissance capacity. The local reconnaissance squadrons were increased to regiments. The 334th Reconnaissance Air Squadron transformed to the 39th Reconnaissance Air Regiment in 1968. 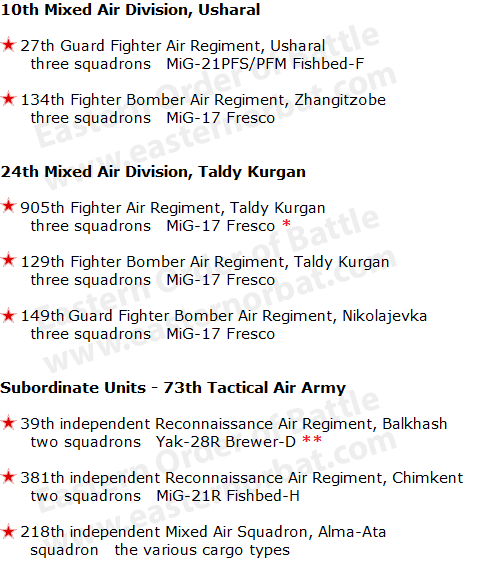 In 1969, at Kazakhstan, Kyrgyzstan, and Tajikistan SSR's territory, the new 73th Tactical Air Army was formed. Its job was to protect the Sino-Soviet border. The new 73th Tactical Air Army only had two reconnaissance regiments in 1969. Then between 1969 and 1972 it received five aviation regiments from other air armies. Among these, one used MiG-19s, while the rest used MiG-17s. By 1970, airports and aircraft shelters were built, but the apartments, shops, schools were not. This was a very difficult period for the military crew and their families who settled here. * The 905th regiment received the MiG-21SMT Fishbed-K type in 1973. First, the reconnaissance regiment replaced the old IL-28R Beagle and MiG-15bisR Fagot reconnaissance aircraft with modern and supersonic Yak-28R Brewer-D and MiG-21R Fishbed-H types.